This won’t be the first time I have re-posted an article by Chris, over at A Life of Productivity. He caught my attention with “Eating Mindfully.” which plays an important role. In this article Chris outlines his theory (backed by science and his own experimentation) how food intervenes with energy, thus productivity. I have to agree. It’s not just what we eat but how we consume food. Try this yourself: eat your normal lunch (fast food, processed foods) in your normal habit (eating fast) and keep a journal of how you feel for the next couple of hours. Write it down. Be honest. Next, the following day bring your lunch (healthy-unprocessed food) and eat this mindfully (slowly, thinking about each bite) write down how you feel. You decide, which feeling is more energetic and productive. Being more productive is hard. Change is hard. Make small consistent changes over time and you will become more productive. 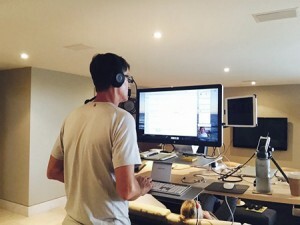 This article will change everything you believe about multitasking. These four practices — multitasking, task switching, getting distracted and managing multiple projects — all fit under the label “multitasking”. This is not just because of a simple linguistic confusion. The versatile networked devices we use tend to blur the distinction, serving us as we move from task to task while also offering an unlimited buffet of distractions. 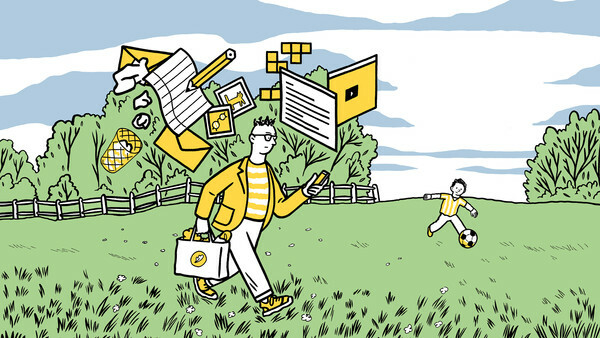 In the modern world, multitasking is the norm. Understanding when this is a benefit and when this is destructive is key to productivity. What has our attention will not get easier, but managing inputs/distractions/focus will allow us to be successful in the 21st century and beyond. You Can’t Always Be Productive – What is the Best Time? In this article written by Adam Sinicki he talks about not forcing productivity or creativity. We can’t be productive twenty four hours a day. I sometimes beat myself up for my lack of getting things done. But this is normal, we can’t be productive all the time. We have to pick the best times to do our best work. Also, take breaks and rest. This is something that a lot of performance coaches will focus on when helping businessmen and women to get the most out of their brains. It is typical of the average ‘type A’ personality to want to continuously drive forward, and when they hit a roadblock with their productivity their solution is often thus to simply try and force themselves to overcome it and to succeed. This article is just what I am going through. Most days I feel productive. But being productive in my lonely home office is not the same as sharing ideas, challenges, and discussion with a group of people. We all need human interactions and collaboration. Let me hear from you in the comments. What does a sole entrepreneur do to get feedback and human collaboration? One of the reasons people end up working in isolation in business has to do with our view of productivity. It’s a flawed mindset: We think we are most productive when we work alone, answering email, solving problems, and researching issues. We head straight to the keyboard because we think that’s where we will be more productive. Excuse me while I do a little self promotion. 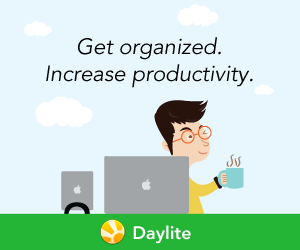 You have heard me write about Daylite, talk about Daylite and Podcast about Daylite. Now you can read about why I use Daylite and more about my passion for helping people get the right things done.